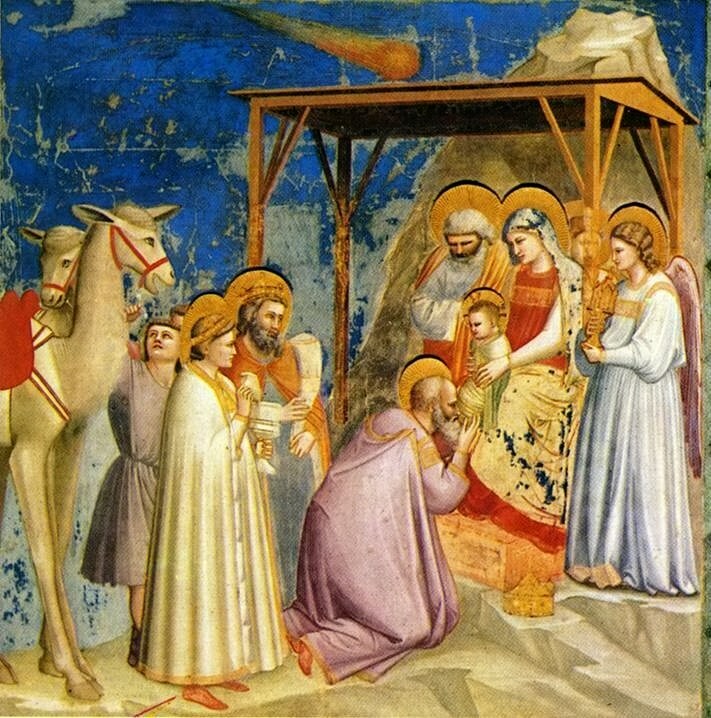 Giotto’s “Adoration of the Magi, courtesy of Wikimedia Commons. The Star of Bethlehem, which God graciously gave to the magi in order to bring them to Jesus, can teach us a great deal about the gospel of Jesus Christ and our church’s mission. Let me preface this by saying that the church has never known Jesus’ actual birthdate. They chose to celebrate Christmas on December 25 because of its proximity to the winter solstice—the solstice marks the point at which the darkness recedes and the days get longer and longer. Symbolically, the solstice represents the light of Christ—the “light that enlightens everyone,” as John says—coming into the world. So it’s possible that Jesus was born on April 17, 6 B.C. I think that’s pretty cool. But it doesn’t really matter. The star could have been a natural event like moon passing in front of the morning star Jupiter, which was used by God to bring these magi to Jesus, or it could have been a star that God created especially for that purpose. The point is, either way, God used it to bring these men to Jesus! In today’s sermon I want to talk about three things that the star of Bethlehem tells us about the gospel of Jesus Christ and our church’s mission. First… The star of Bethlehem tells us that everyone in the world needs the gospel of Jesus Christ. Everyone needs Jesus. Now, this is a deeply controversial idea in our day. It goes against the spirit of our age, which says, in so many words, that it doesn’t really matter what religion you follow—or even whether you follow any religion at all—so long as you are a good person. All paths lead to God. Everyone will be saved—so long as they’re not too evil. I mean, Hitler, Stalin, and Osama bin Laden may not be in heaven, but nearly everyone else will! Several years ago, there was a TV show called Saving Grace, starring Holly Hunter. It was like a really raunchy version of Touched by an Angel. In this case, a redneck angel named Earl is sent from heaven to save the lives of people who are otherwise hell-bent on destroying themselves. One of these people is a prisoner on death row named Leon. Earl the angel meets with Leon in his prison cell regularly—and Earl gives Leon encouragement and hope. In one episode, however, we learn that Leon has been cheating on his angel. Leon’s been meeting with a Muslim imam and reading the Koran—behind Earl’s back. Leon has decided to convert to Islam. Earl finds out about it and seems angry and hurt. He challenges Leon to go ahead and convert to Islam if that’s what he wants to do. In order to convert to Islam, all you do is say a couple of sentences. For me, this scene perfectly captures the spirit of our times. Jesus, by contrast, said, “I am the way and the truth and the life. No one comes to the Father except through me.” No one means no one. If anyone is going to be saved from their sins, it’s going to be through the life, death, and resurrection of God’s Son Jesus. This is God’s plan of salvation for the whole world. And we know it’s for the whole world in part because the star of Bethlehem tells us so! I am sure, after all, that these magi were good and sincere religious believers. They wouldn’t have traveled all the way from Iran or Iraq, wherever they were from, if they weren’t. They were sincere, but guess what? They were also sincerely wrong—sincerely lost in their sins—sincerely in need of a Savior! And this is exactly why God reached out to them by giving them this star! So the first thing that the star of Bethlehem teaches us is that everyone needs the gospel of Jesus Christ. The second thing that the star of Bethlehem teaches us is that when it comes to communicating the gospel of Jesus to other people, God does the heavy lifting. God prepares people’s hearts to receive the gospel. Notice that these magi are expert astronomers. They spend their lives and careers studying the night sky. So how does God reach them: through astronomy. God speaks to them, in other words, in a language that they can understand. In my own experience of coming to faith in Christ, God spoke to me in a language I could understand: which was through music. It was November of 1983. I was lying in bed, in the dark, listening to a 20-minute song about the Second Coming and the end of the world called “Supper’s Ready,” by the rock band Genesis, which included words and imagery from the Book of Revelation. It was so spooky and beautiful and powerful, by the end of the song, I felt deeply convicted, so much so that I prayed my first real prayer that night—one that wasn’t of the “Now I lay me down to sleep” variety. I told the Lord that I wanted to be a Christian, even though I didn’t understand what all that meant. I was in tears when told my parents. They didn’t quite know what to do, but they signed me up for a youth-group retreat. And on that retreat, by the time the youth pastor invited us to receive Christ, believe me, I was ready to do it! Because the Lord had prepared my heart to receive the gospel! The point is, there are people around here—in this church and many more out on in our community—whose hearts our Lord is preparing right now to place their faith in Jesus Christ and be saved. Which brings me to my third and final point: God wants the church—including our church, the Hampton United Methodist Church—to play an important role in bringing people into a saving relationship with God through Christ. That’s the most important thing that we can do. That’s our most important task. Notice in today’s scripture: God gave these magi a star, which brought them a thousand miles west to Jerusalem. But that didn’t take them the whole way. Once they got to Jerusalem, they still needed to travel six miles south to Bethlehem to find Jesus. And how did they find their way to Bethlehem? Through God’s Word. Some people in Jerusalem knew from God’s Word that the Messiah must be born in Bethlehem, and they shared God’s Word with these magi. They literally used scripture to show these magi where they could find Jesus. Isn’t that what we’re supposed to be doing, too? We’re supposed to use God’s Word to show people where to find Jesus! I have a friend in ministry named Warren Lathem, who has been a very successful pastor in our conference. He was a D.S. for a while and now he spends most of his time running a Methodist seminary he started in Venezuela. A couple of weeks ago on Facebook, he posted something that convicted me—deeply—and I have to share it with you. He was noticing all the pictures that his fellow pastors were posting from their church Christmas musicals, cantatas, and programs. He appreciates that these are high-quality music programs that church members love. But he was perplexed, he said, because he rarely hears about anyone getting saved at these events. Is it because we’re not inviting people to respond to the good news of Christ’s incarnation? Meanwhile, he said, Mt. Pisgah United Methodist Church in Johns Creek, Georgia, the largest United Methodist church in our North Georgia Conference, reported over 100 professions of faith during their recent Christmas music program. Over 100 professions of faith! During a Christmas music program of all things! That’s not supposed to happen! Another pastor of a large church in our conference reported over 40 professions of faith on a Sunday morning in December. I’m meeting with him on Tuesday to find out what his church is doing! A hundred professions of faith at this Methodist church; forty professions of faith at another. I’ve never heard of numbers like that in Methodist churches! Could it be that there’s a revival breaking out in the North Georgia Conference of the United Methodist Church? If so, I want to be part of it! Don’t you? A couple of weeks ago, Lisa had a meeting after school at our son Ian’s elementary school on a Friday afternoon. After the meeting, she had to take our daughter to meet a friend up in Alpharetta. Lisa was literally on the other side of Atlanta when she realized something: she left her purse in the classroom where she had the meeting. At least she hoped that’s where it was. And now it was almost 5:00. The school would be closing soon. Could I run up to the school and see if someone was still there, and if so, try to retrieve her purse. I think we all know that sinking feeling in the pit of our stomach when we’ve lost something valuable like that! So what did I do when she called? I dropped everything else, got in my car, rushed to the school. I was on an urgent mission. It was all hands on deck. There was nothing more important that I needed to do right then than find the missing purse. And you can imagine how relieved I was that people were still there—relieved that her purse was right where she said it was! Look: if that’s our attitude toward lost things that we care about—like wallets, purses, and iPhones—shouldn’t that be our church’s attitude toward lost people—lost souls? Shouldn’t we make finding them our church’s top priority? Shouldn’t we have that same sense of urgency—only more so because people are far more valuable? And you might say, “Pastor Brent, I agree, but what can I do about it? I haven’t been to seminary.” First of all, it’s cute that you think that the seminary I went to taught us anything about reaching lost people. But you can do a lot! You can pray. I bet each one of you can name at least three people in your life right now who need Jesus. Write their names down and pray for them and their salvation every day. You can invite. It doesn’t require theological training or a great understanding of the Bible to invite someone to church. And you probably have lots of friends who need to be in church on Sunday. Finally, if you’re already a disciple of Jesus Christ, you’ve got a story to tell others about what Jesus Christ has done for you. You’ve got a testimony. And the Lord can give you an opportunity to share it with someone at the right time. We probably all know a lot of people who have made it as far as Jerusalem, but they still need to get to Bethlehem. 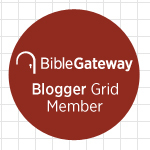 Pray… Pray that we can show them the way! This entry was posted on	January 2, 2015 at 2:45 pm	and is filed under Uncategorized. “Preachers” don’t save people. The word of God saves people. We can all share the good news and know that the rest is up to God.